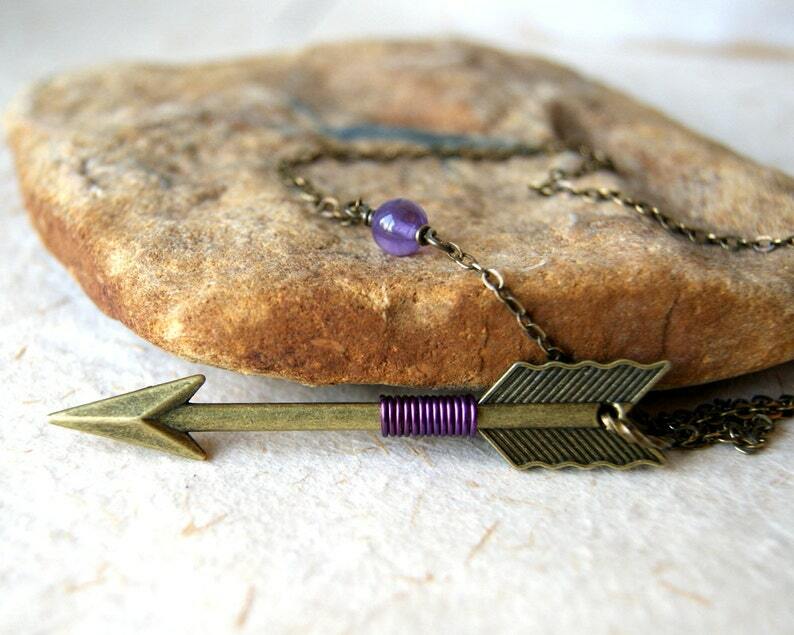 Arrow necklace comprised of a bronze arrow pendant, wrapped with purple wire, hanging from an antiqued brass chain. The chain does not have a clasp. It is connected together with an amethyst bead. 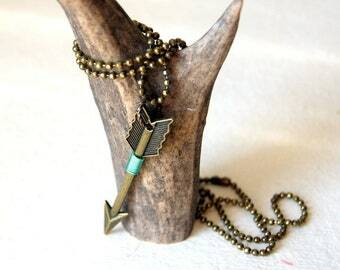 The arrow measures 2 1/2". Perfect gift for an Aquarian, like me. Choose length at checkout: 24". 26". 28". 30". All designs, images and content are © Katie McClanahan 2006 - 2018.